Who has not heard about avocado and its health benefits? It is one of the foods that a lot of us is familiar with nowadays and uses it in a lot of recipes. Its health benefits are endless based on the nutritional value of this true superfood. Below we will look closely at what are the health benefits of avocado that makes it a superfood. A lot of modern diets recommend incorporating avocado into everyone diets. It is especially recommended consuming on the low-carb diets like the Atkins and the Keto diet due to the small amount of ‘pure’ carbohydrates and high amount of healthy fat in it. It is also recommended to make avocados a part of our diet due to the health benefits it may offer. So what are the health benefits of avocado and why should we eat it? Avocado is a fruit of the avocado tree, called Persea Americana and belongs to the family of Lauraceae, the group that also includes foods like cinnamon. The fruit is very rich in flavor and has a creamy texture. It is used in a lot of dishes from salad dressings to dessert toppings. It is one of the main ingredients of guacamole. There are different varieties of avocados ranging in size, color, and texture. The Hass and Fuerte avocados are the most popular types of avocados available at the grocery stores. The Hass avocado is imported from Guatemala and has a dark brown, pebbled, slightly rough skin. It usually has an oval shape. Hass type of avocados, the Fuerte avocados are transported firm and it takes longer for them to soften. Avocados are extremely nutritious and contain a wide variety of nutrients including vitamins and minerals. That is exactly why avocado is a true superfood. One medium-size avocado (California, raw) has around 304 calories, where most of the value comes from healthy fat, fiber, and phytochemical content. But that is not it. Avocados are not only rich in macronutrients like protein, carbohydrates and fat, but also in micronutrients that help absorb macronutrients properly. Avocados are one of the best food sources of these vitamins. Vitamin B is required to convert food into energy, while vitamin C is needed for the growth and repair of tissues in all part of your body. These are all vitamins required for our bodies to function properly. Moreover, being fat-soluble (and as you know avocados contain a lot of fat), these vitamins are actually getting absorbed properly by our bodies. Vitamin A is required for normal vision, the immune and reproduction system. Vitamin E acts as an antioxidant, helping to protect cells from the damage caused by free radicals. Free radicals are formed when our bodies convert the food we eat into energy. Our bodies need vitamin K to produce prothrombin, a protein, and clotting factor that is important in blood clotting and bone metabolism. Avocados are a great source of folate that prevents certain birth defects like spinal bifida and neural tube defects. They prevent oxidative damage, called free radicals, that have the ability to change DNA and result in cell mutations. Phytonutrients have anti-inflammatory qualities that may reduce the risk of inflammatory and degenerative disorders like arthritis, skin eczema etc. 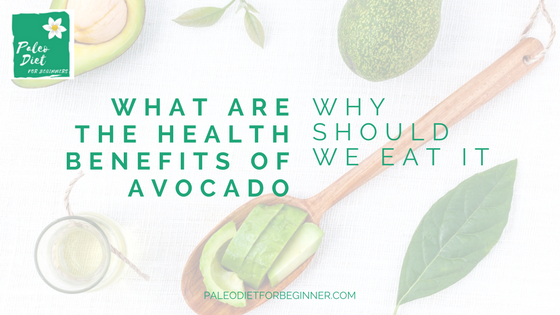 As avocados are rich in both macronutrients and micronutrients, they can provide us with a lot of health benefits. Metabolic syndrome is a term for certain conditions that increase the risk of developing heart disease, stroke, and diabetes. Avocado may help with lowering metabolic syndrome. It may also help with hypertension, high blood pressure, high cholesterol and excess of weight. Based on the research published in Nutrition Journal it was found that eating avocados help regulate hormones associated with risk factors for diabetes, obesity and cardiovascular diseases (1). The researchers also discovered that eating avocados may decrease the development of metabolic syndrome by 50%! Avocados contain a unique chemical content where 71% comes from monosaturated fatty acids (MUFAs), 13% – on polyunsaturated fatty acids (PUFAs) and 16% – on saturated fatty acids. Diets rich in healthy fats, especially MUFAs may help to block the development of arteriosclerosis better than diets that are high in insulin-spiking carbohydrates. Also, high levels of fiber, magnesium, potassium, and beta-sitosterol compounds have been proven to help reduce cholesterol and high blood pressure in multiple human studies (2). MUFA-rich diet may improve fasting insulin levels in insulin-resistant individuals. Consumption of a MUFA-dense food (including avocados) may help decrease glucose and insulin concentrations for hours compared with carbohydrate-rich meals. MUFAs consumption also mediates blood pressure, improve insulin sensitivity and regulates glucose levels. It also prevents obesity, oxidative damage and negative effects on metabolic functions. Fatty acids play an important role in regulating the central nervous system, reproductive system and cognitive processes as they have an impact on hormonal levels and help keep hormones balances naturally. Therefore, your moods are also positively affected when you add healthy fat to your diet. Eating whole-food, natural fat sources is one key to following an anti-depression diet, but also boosting fertility and your mood, because various neurotransmitters and hormones are synthesized from fatty acids within the diet. Avocados contain an enormous amount of fiber. One whole avocado contains 11-17 grams of fiber! High-fiber foods are important because fiber helps increase the presence of healthy bacteria while decreasing the unhealthy bacteria that can be the cause of digestive issues. 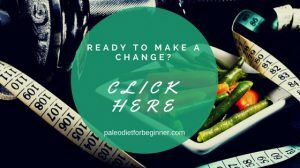 Fiber also helps add bulk to stool, makes it easier to go to the bathroom and helps get rid off waste and toxins through the intestines and colon. Fats are also important for digestion and nutrient absorption as they nourish the gut lining. A low-fat diet may result in constipation or symptoms of irritable bowel syndrome. It is known that diets lower in carbohydrates and higher in fats are very effective in weight loss. If your goal is weight loss, avocados are your number one food. Fats are extremely filling and they also increase satiety hormones that help you eat less. They also help you to go longer in between meals without feeling hungry. Healthy fats also help prevent overeating, reach out for snacks and sugar addiction. As I have mentioned earlier avocados are a great source of vitamin K, an essential vitamin for bone health. Vitamin K can support bone health by increasing calcium absorption and reduce urinary excretion of calcium. Arthritis is a very common problem in a lot of countries. It was found that extracts from avocado and soybean oil, called Avocado and Soybean unsaponifiables, may reduce symptoms of arthritis of the bones, called osteoarthritis (3). Avocados are rich in fat-soluble vitamins and MUFAs that may improve your skin, brighten eyes and make your hair shine when eaten or used topically. Avocados benefits for skin include being nature’s perfect moisturizer. Avocados are also a high-antioxidant food that contains lutein. Lutein is a type of carotenoid that protects eye health and preserves healthy, youthful looking skin and hair. Carotenoids are the group of antioxidant phytochemicals found in vegetables like carrots, sweet potato, squash and are known to block the effects of environmental toxins like pollution and UV light damage. A study published in Journal of Nutrition and Cancer claims that the phytochemicals in avocados may prevent the use of chemotherapy in people with oral cancer (4). Another reason why avocados are so effective in preventing cancer and diabetes is associated with MUFAs. MUFAs have been shown to be better protection against chronic diseases compared to other types of fatty acids because of their ability to lower inflammation (5). Beta-sitosterol is also highly protective of the prostate and linked to better immune function and lower prostate cancer risk, while carotenoid antioxidants are beneficial for preventing skin cancer. Avocados should be consumed when perfectly ripe. A lot of times you will find avocados to be relatively firm. Do not afraid to buy these types of avocados. Leave them at room temperature for a couple of days and they will become soft relatively quick. If you would like to speed up the process you may leave firm avocado next to a banana in a fruit basket. If will take a couple of days for the avocado to become perfectly ripe. Avocados should not be put in the fridge until relatively soft. Once opened consume immediately or add a little of the lemon juice to prevent the flesh from browning. Avoid eating overripe avocados. They tend to have brown flesh, disregard these avocados as this is an indication of rot. There are a lot of ways how you could use avocado. The most common way is to add it to your salad, smoothy or soup. Avocados can also be used as a topping in dairy-free baking recipes. Nutrition Facts health benefits of avocado, how to use avocado, macronutrients in avocado, micronutrients fun avocado, minerals in avocado, nutritional value of avocado, vitamins in avocado, what are the health benefits of avocado. permalink. 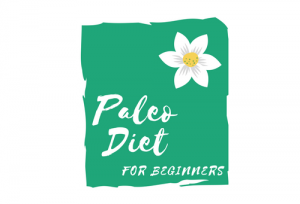 Atkins Diet Vs Paleo Diet – What Is The Difference?